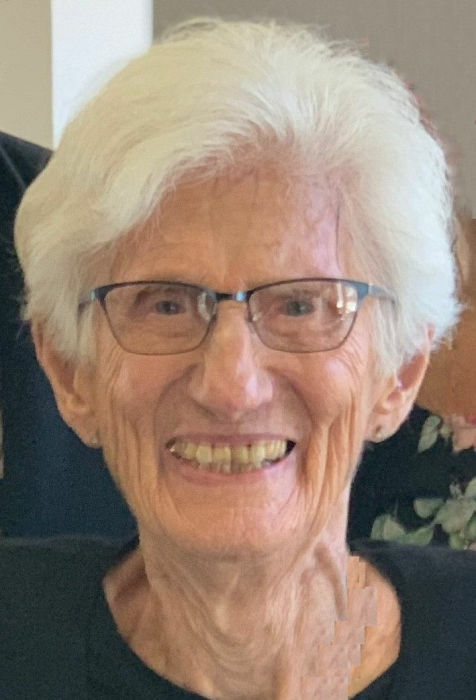 Jackie Hanson Jeffords, 84, of Spicer, died Wednesday, April 3, 2019, at her home in Spicer. Funeral services will be 11:00 a.m. Monday, April 8, 2019 at Peace Lutheran Church in New London, where a visitation will be held two hours prior to the service. Burial will be in Oak Hill Cemetery in New London. Arrangements are with the Johnson Funeral Home in New London. Jacqueline Marie Hanson Jeffords was born October 1, 1934, in the Litchfield Hospital to Harry L. and Ellen (Lindberg) Holm. She grew up in Kandiyohi and was baptized and confirmed at Ebenezer Lutheran Church. She attended grade school in Kandiyohi and high school in Willmar, graduating in 1952. She continued her education at Gustavus Adolphus College and University of Minnesota in Minneapolis, receiving a degree in dental hygiene. On September 22, 1956, Jackie was united in marriage to Harvey Hanson at Ebenezer Lutheran Church. This union was blessed with a son and three daughters. They made their home on Green Lake and she worked for Dr. O.V. Anderson in New London as a dental hygienist for 32 years. Harvey was killed in an auto accident on June 22, 1982. On May 6, 1989, she was united in marriage to John Jeffords at Peace Lutheran Church. He died on July 27, 1992 from A.L.S. Jackie was a member of Peace Lutheran Church and former member of Trinity Lutheran Church. She served on the building committee, council, circle, serving groups, bible study and was a Sunday School teacher and superintendent. She enjoyed bowling, walking, reading, theatre, shopping, travel, church and spending time with family and friends. She called her home on Green Lake, her heaven on earth. Jackie is survived by her children, Scott (Kelly) Hanson, Terese (Paul) Erny, Julie (Dan) Nelson and Susan (Dan) Fagan; 12 grandchildren, Jessica, Brandon, Ryan, Matthew, Erin, Seth, Abby, Eli, Jonah, Max, Cole and Sam; her first great-grandchild due in August and friend and companion, George Couleur. Jackie was preceded in death by her husbands, Harvey Hanson and John Jeffords; parents; brother, Lowell Holm and sisters, Duaine Smith and Doris Kvam.